This connecting pillar comes with two power sockets. Thanks to high-quality protective lids, the electrical components are protected against weather influences. This connecting pillars supply power to your outdoor area by means of two shockproof sockets. The practical energy sources reliably supply electrical devices with energy, for instance, portable luminaires or gardening equipment such as lawnmowers or leaf blowers. 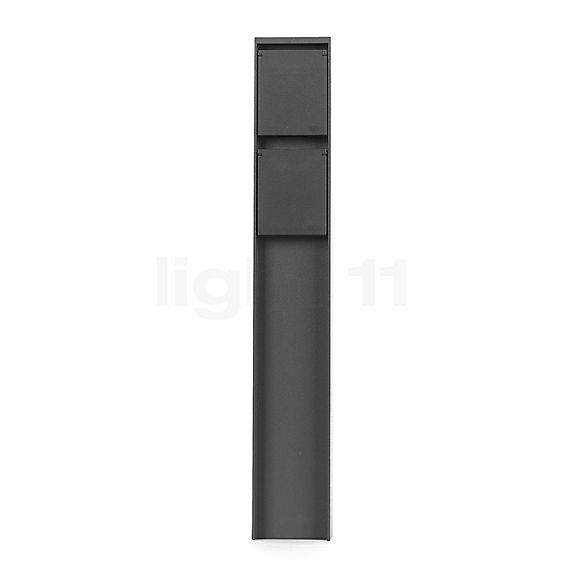 Like all exterior lights by Bega the 70704/70706 connecting pillar is ideally suited for outdoor applications as it stands all weather conditions. Thanks to protection class IP44 the column is protected against the ingress of foreign bodies as well as the ingress of water splashing on all sides. The robust housing consists of aluminium and stainless steel. The device support and the cover plate are made from fibre-reinforced polyamide. 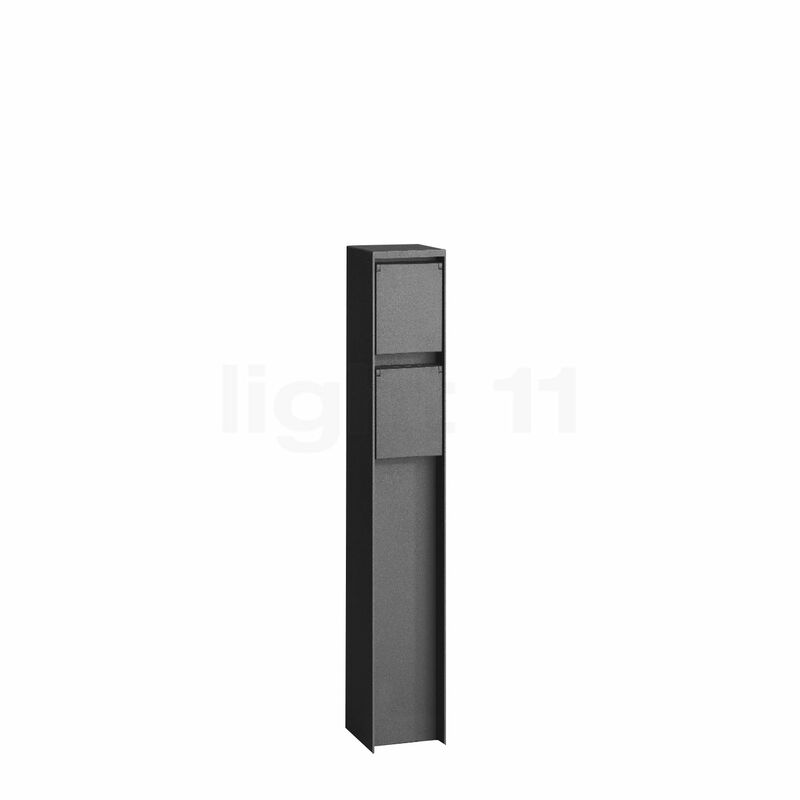 The Bega 70704/70706 connecting pillar is available in two different versions: either with an anchorage made from hot-dip galvanised steel or with a screwdown base for assembly on a foundation. Tell other customers and us about your experiences with the 70704/70706 - Connecting pillar with 2 sockets !